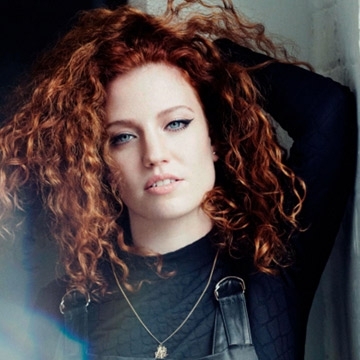 she continues to make UK chart history with her 7th #1 single ‘I’ll Be There’, Jess Glynne announces her glittering new album ‘Always In Between’ – due for release on Atlantic on the 21st September. The album is available to pre-order here. It’s been 3 years since the release of Jess Glynne’s momentous debut album ‘I Cry When I Laugh’. Selling over 2 million copies worldwide and including a mass of smash hit singles including ‘Hold My Hand’, ‘Take My Home’ and ‘Don’t Be So Hard On Yourself’, it consolidated Jess as one of the most important British popstars and a formidable songwriter. Celebrated for her intimate yet universally appealing themes, Jess has connected with millions of people across the globe – demonstrating her peerless ability to tell the truths young women want to hear; about the loves that build them up and let them down; the aspirations and dreams that might turn sour but you’ll smile through them anyway. These themes are passionately continued in ‘Always In Between’.